Say welcome to our latest addition to our patch and pin collection, the brand Pretty in Punk! We are thrilled now to be selling a selection of their gems, the ring of salt patch is a favourite! 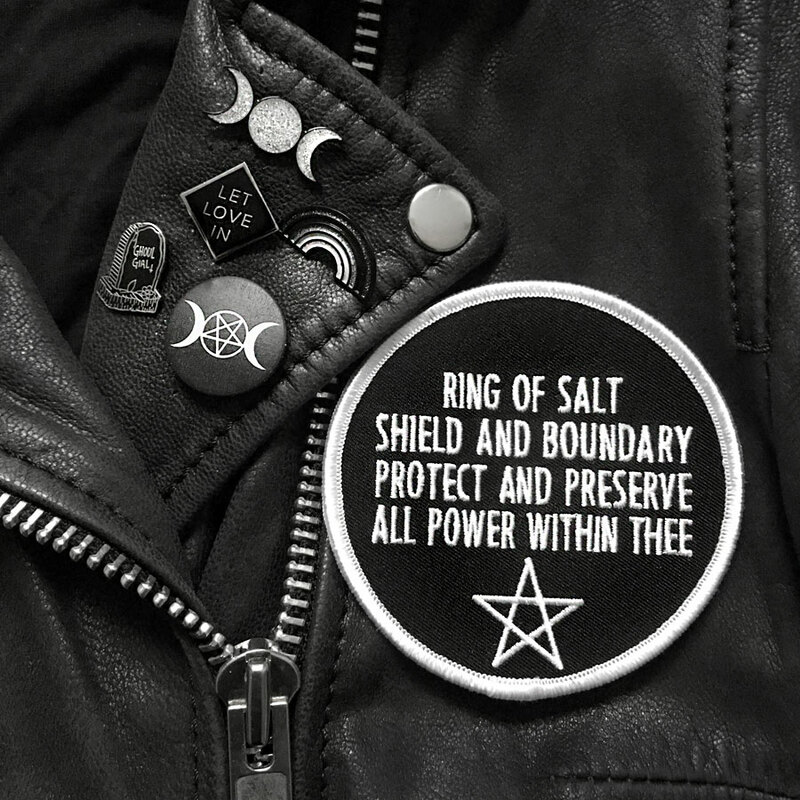 A perfect patch for those who want to perform spells on the move, need simple words to help ward off negativity, or want something to help visualise a protective circle when unable to physically cast one. 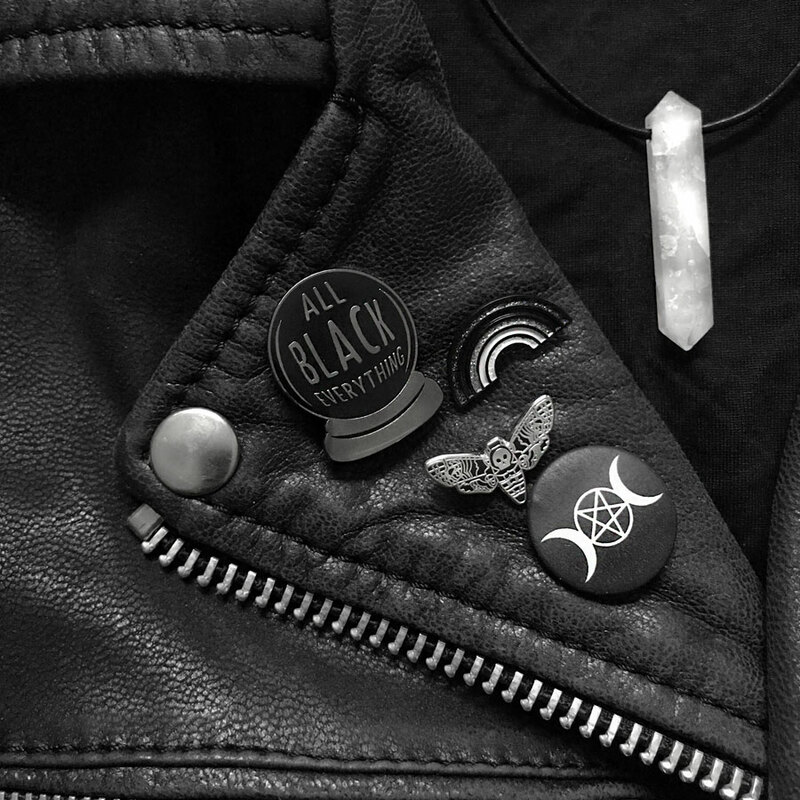 A great addition to any jacket or denim vest for added mental protection ? 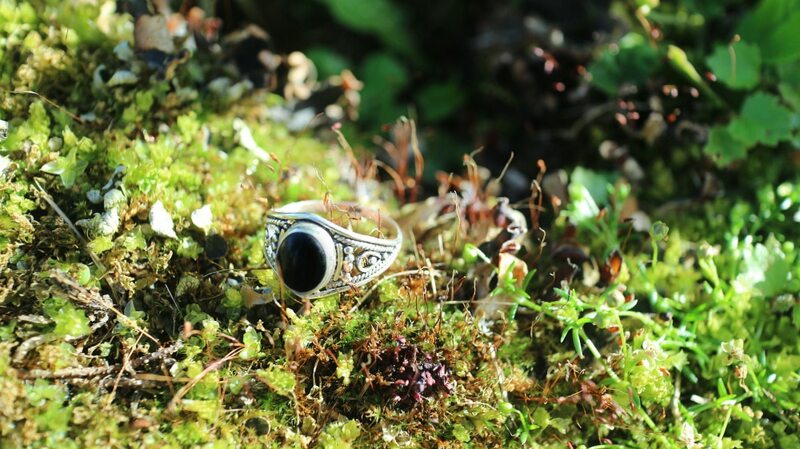 Anna Munkhammar, from bodenbynight.se is a blogger from north Sweden who purchased some jewellery from us. 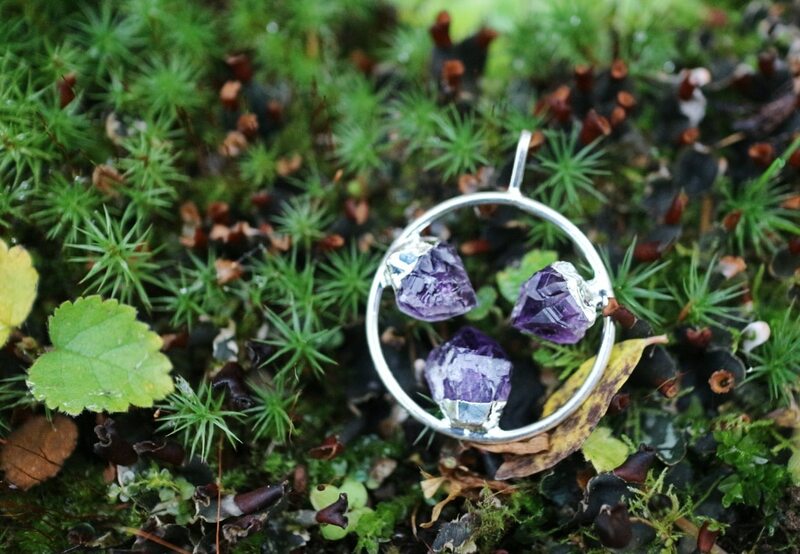 Browsing through her blog recently we spotted this gorgeous photos of our Circle of Life Amethyst pendant and Aelia Sterling SIlver Onyx ring. 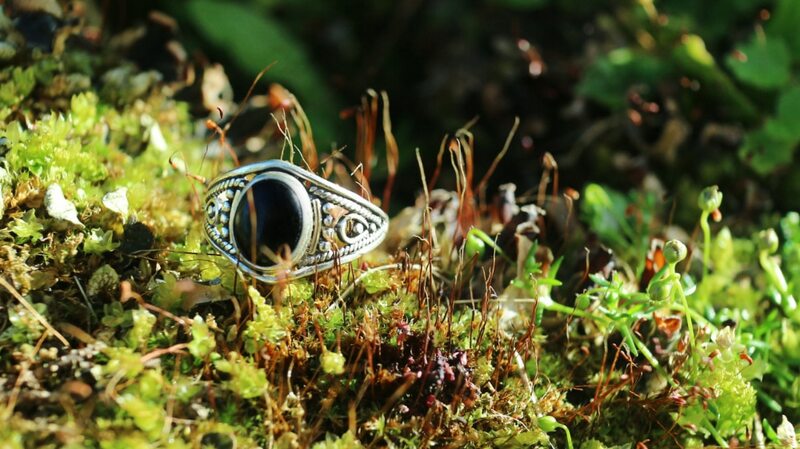 Aelia Sterling Silver ring with pitch black onyx 199:- sek. Anna recently started to blog in English, you can visit her new blog here.